Nine plays make up this collection of dramatic works developed and premiered by the Obie Award winning Ma-Yi Theater Company in New York. Through its plays, the company brings to the table of Asian American discourse an alternative view of the savage. Consider the tropes of danger and deceit found in: Han Ong’s Middle Finger; Linda Faigao-Hall’s Woman From The Other Side of the World; Sung Rno’s wAve; and Qui Nguyen’s Trial By Water. Examine the exotic as weaponry in: Kia Cothron, Jorge Ignacio Cortinas, Ong and Rno’s Savage Acts; Ralph Pena’s Flipzoids; and Chris Millado’s Perigri Nasyon. Rethink debates on cosmopolitanisms and nationalisms through Lonnie Carter’s The Romance of Magno Rubio, and Pena and Rno’s Project: Balangiga. The book is accompanied by an introduction tracing the history of the company and four other critical essays. 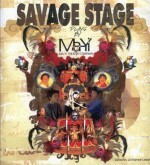 Editor Joi Barrios-Leblanc argues that it is by creating a ‘theater of disturbance,’ employing elements of the ‘savage’ as weapons of dissent, and performing that which is empowering, that Ma-Yi Theater Company redefines the ‘savage stage’ of Asian American theater.